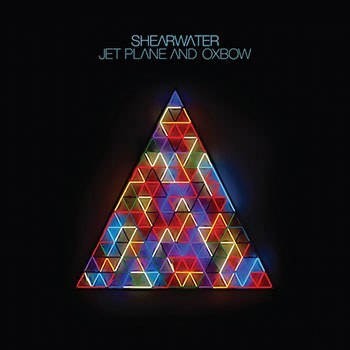 Jet Plane and Oxbow is a remarkably polished, alluring, and dignified accomplishment. Formed in 1999 by two members of Okkervil River -- singer/songwriters Jonathan Meiburg (who still leads) and Will Sheff (who left in 2005) -- Austin, Texas outfit Shearwater has earned plenty of critical praise, as well as a sizable fan base, for its energetic and catchy take on indie/folk/psychedelic rock. On its newest outing, Jet Plane and Oxbow, the group maintains its multilayered rock edge while also indulging even more in its synth pop tendencies, creating a consistently charming and captivating collection. In fact, it’s likely their best outing to date. Jet Plane and Oxbow is the follow-up to 2012’s Animal Joy and 2013’s Fellow Travelers. It’s touted by Sub Pop Records as a “career-defining album... lush, powerful, and grand, with a confident edge... it’s also, strangely, their most intricate and beautiful one”. Of course, this is due in no small part to the contributions from composer Brian Reitzell, whose “arsenal of strange instruments emphasizes Jet Plane and Oxbow’s cinematic depth and scope”. Indeed, the record is bombastic, detailed, and wholly immersive. In an interview with Michael Azerrad, Meiburg says that his goal for Jet Plane and Oxbow was to “make a protest record that wasn’t dumb or preachy... it remind[s] me of a breakup letter -- the kind that’s furious and tender at the same time, because it’s written with love”. As for what he’s rebelling against, it’s “the idea of the United States... I can’t stop being an American, even when it makes my skin crawl. I also can’t help loving it here, even though I hate it sometimes, too." Just as his sentiments are mostly universal, the dreamily forceful presence of Jet Plane and Oxbow should appeal to almost any listener. The disc begins with one of its strongest statements, “Prime”. Tender synthesized notes move chromatically (evoking, oddly enough, the music from several Final Fantasy games) as Meiburg addresses the listener with his trademark brooding yet seductive and poetic delivery. (Like the music itself, his tone would’ve fit well in the ‘80s new wave scene.) Eventually the track explodes into a chasm of emotional synth majesty, as impassioned vocal layers join soaring guitar licks and charging percussion. Dense and mighty, it’s a grand way to start the sequence. Taking a page from groups like Devo and Kraftwerk, “Quiet Americans” is a bit more robotic and straightforward; however, it’s still quite appealing. Of course, it’s also where Meiburg’s social commentary truly comes into play, with lyrics like “Take the memories out / Hide the evidence under / Piss on the world below / Like a dog that knows its name / Where are the Americans?” expressing biting outcry. Afterward, “A Long Time Away” is more anthemic and invigorating, enveloping the listener with its frenzied hooks and relentless momentum. Things take a sparser, more sorrowful turn with “Backchannels”, while “Pale Kings” feels like a protest song U2 might’ve crafted in its heyday. It’s feisty, rich, and inspiring, with subtle acoustic guitar strums adding some warmth. Likewise, there’s a touch of classic Bruce Springsteen in the call to action trajectory and piano accompaniment of “Wildlife in America”. In contrast, “Radio Silence” is faster and poppier, allowing its driving bassline and captivating syncopation to dominate. Lastly, “Stray Light at Clouds Hill” concludes the LP on a slow and ethereal note, with echoes and other effects colliding with mellow instrumentation to yield an all-encompassing atmospheric shroud.